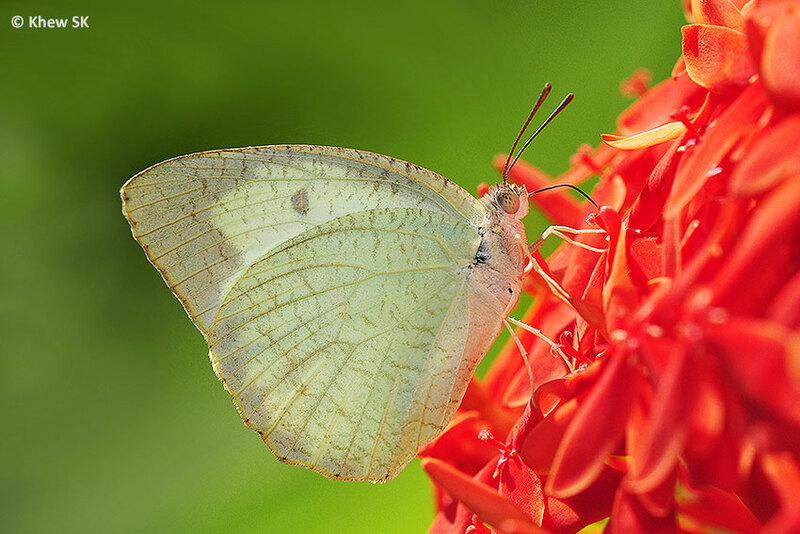 This 6th instalment of our Butterflies' Favourite Nectaring Plants series features a species of the family Rubiaceae, Ixora javanica. 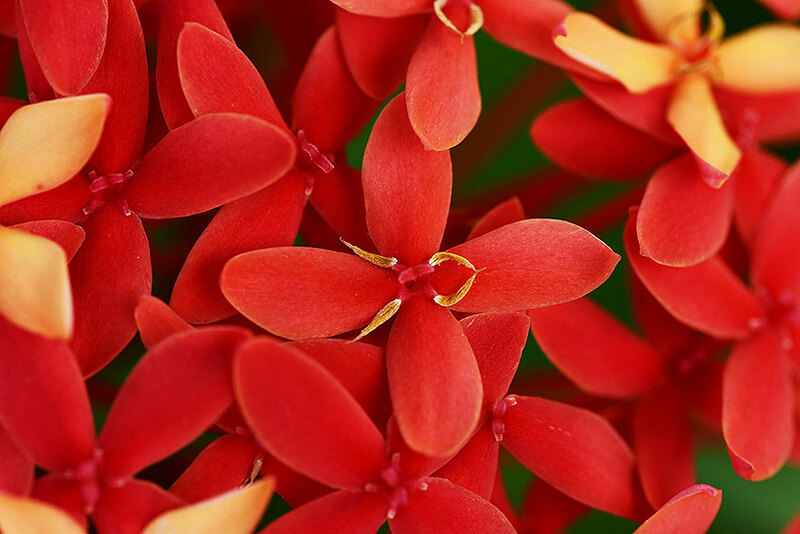 The genus Ixora comprise a number of species, which are generally bushy plants with bright red, pink, orange, yellow and white flowers. These plants are typically used as accent plants (particularly the red flowered cultivar) in landscapes in our parks and gardens. The attractive bunches of red flowers make the Ixora a good choice for garden border hedges and as standalone feature bushes. 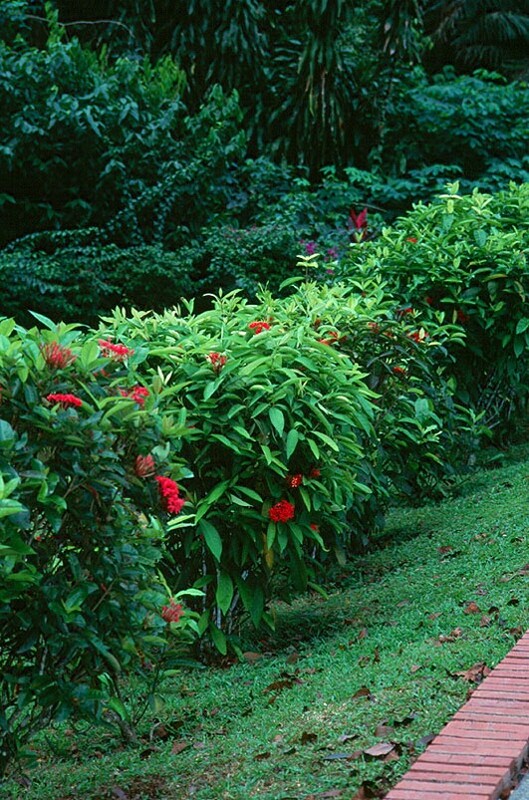 In Singapore, the red and yellow varieties are more often cultivated in our urban streetscape and gardens. 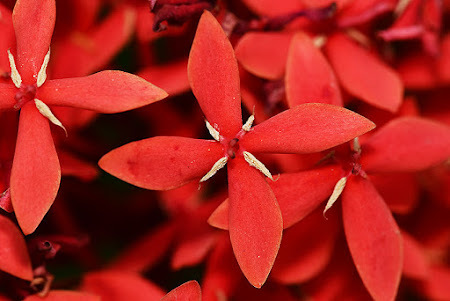 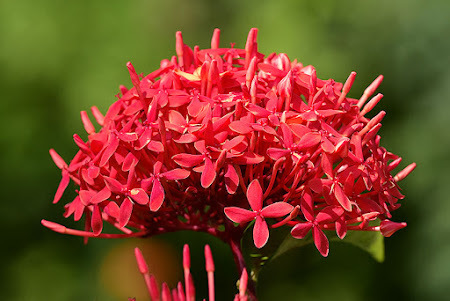 Other species like Ixora coccinea, Ixora siamensis (dwarf cultivar), Ixora chinensis and others are also cultivated, often together with Ixora javanica in our urban greenery, often making the identification of the various Ixora spp. 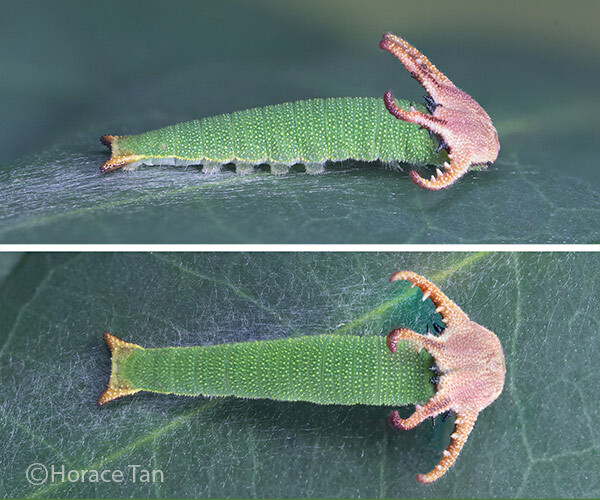 rather confusing. The Javanese Ixora is a native plant in Southeast Asian countries like Indonesia, Malaysia, Singapore and Thailand. 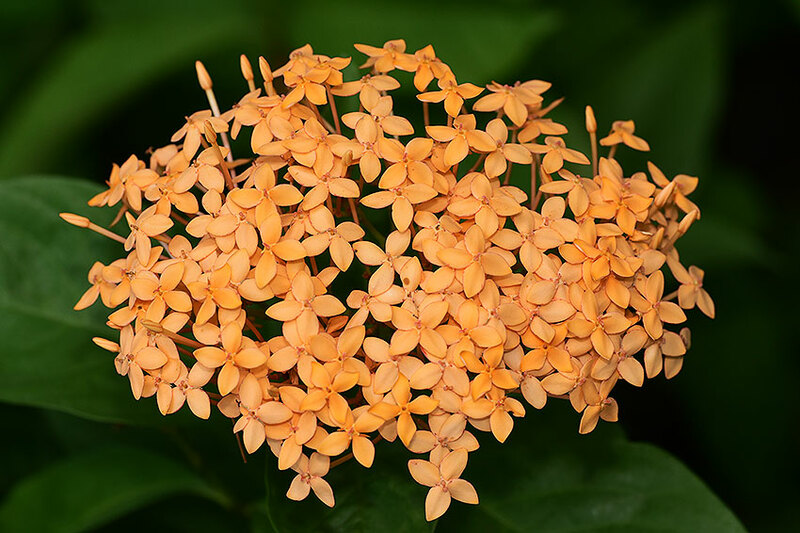 In Singapore, most of the Javanese Ixora bushes are cultivated and the plant appears in many parks and gardens as part of the horticultural palette of the garden designers. One species of the genus, Ixora congesta occurs naturally in the forests and is common on Pulau Ubin. 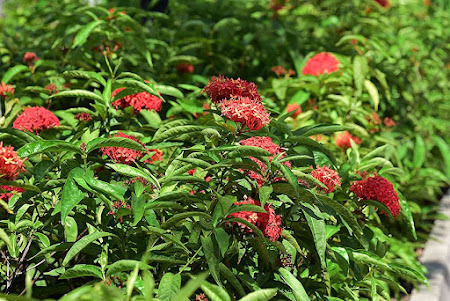 An evergreen shrub that grows up to 3 m tall, the Javanese Ixora features light green, elliptic-oblong leaves ranging from 10-25cm long. 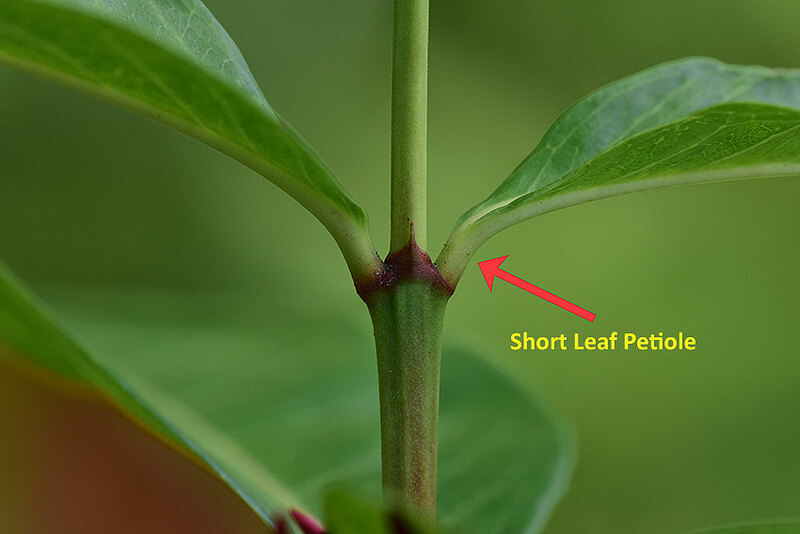 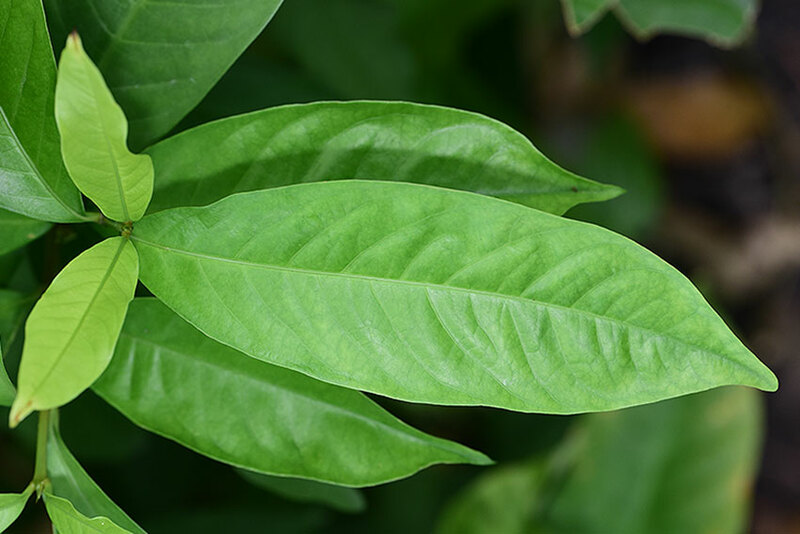 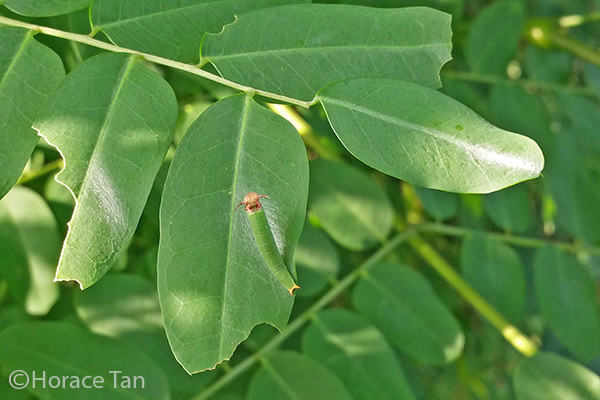 The leaves can sometimes be corrugated, but has a distinct short petiole, which is one of the diagnostic features to distinguish this Ixora from closely related ones. 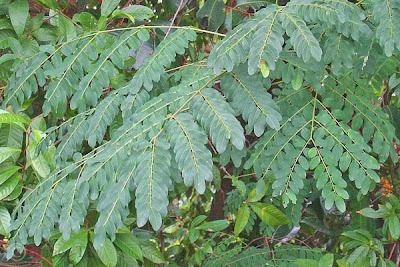 The leaves are paired and tend to droop downwards. 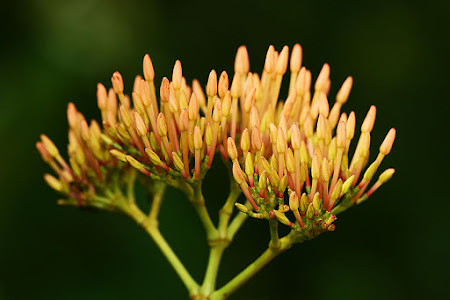 The inflorescence has quite a long peduncle, and the small tubular flowers have 4 obovate lobes arranged in a cross-like pattern, with the lobes bluntly pointed. Freshly opened flowers are red-orange, slowly turning red as they mature. Flowers are arranged in large, dense clusters that are about 7.6 cm wide. 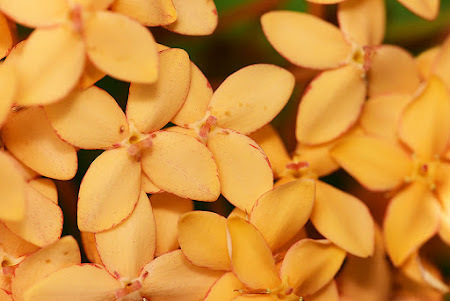 After pollination, the flowers die off, leaving the remaining stems on the clusters. 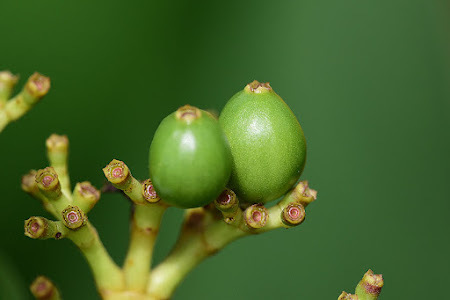 Green, berry-like fruits appear, growing up to about 8-10mm in diameter and turning purple-black as they mature. The Ixora bushes also tend to get woody as the bushes grow older and may need to be pruned regularly to maintain its lush form and ability to flower regularly. 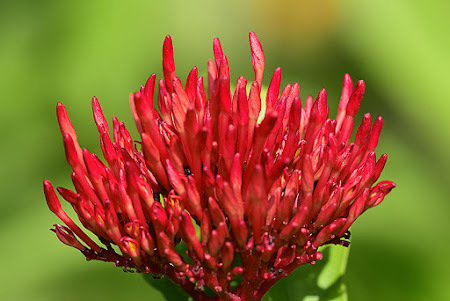 I recall that in my younger days, we pulled out the stamen from each flower, and usually attached to the ends of the stamens would be a drop of nectar which we savoured. The distinct sweetness of the flower's nectar is likely to be what attracts myriad insects to the flowers to feed. 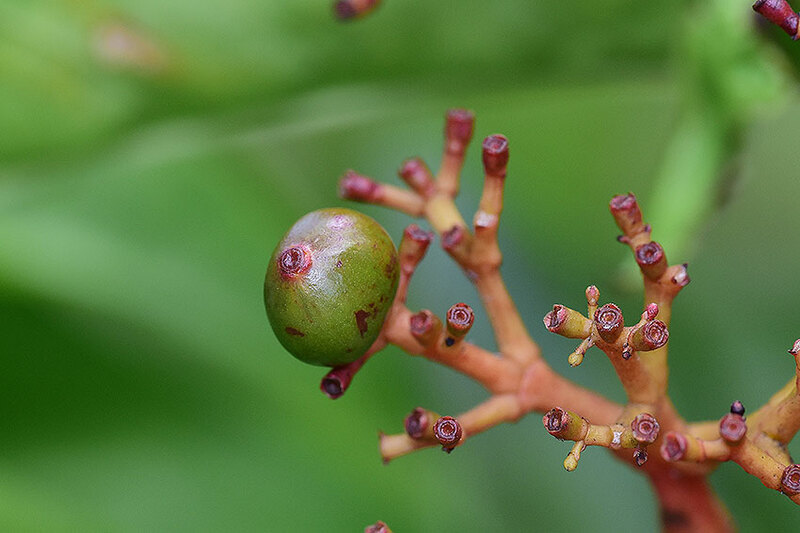 In Singapore, many parks, gardens, park connectors, natureways and urban landscapes which have been cultivated to enhance our biodiversity features the Javanese Ixora. 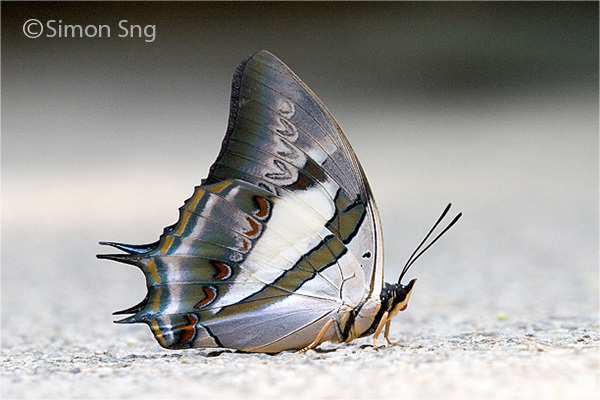 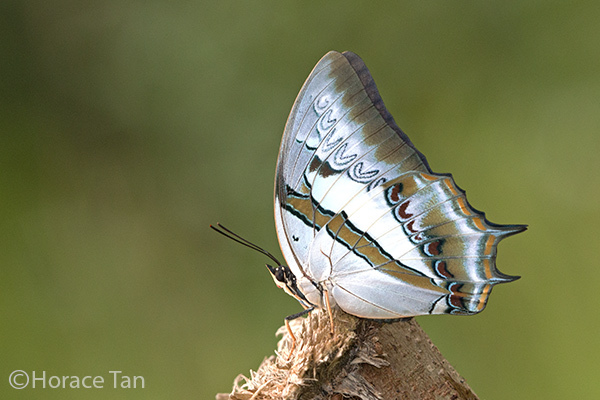 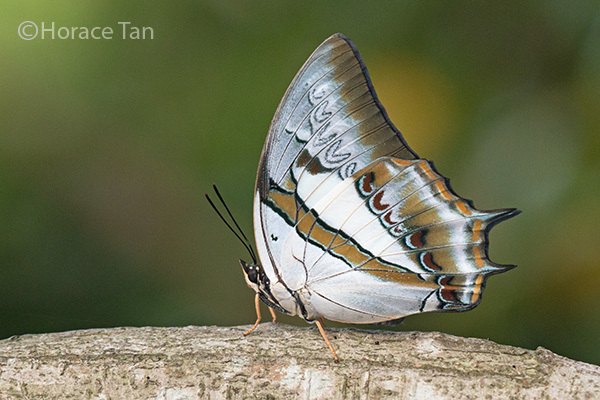 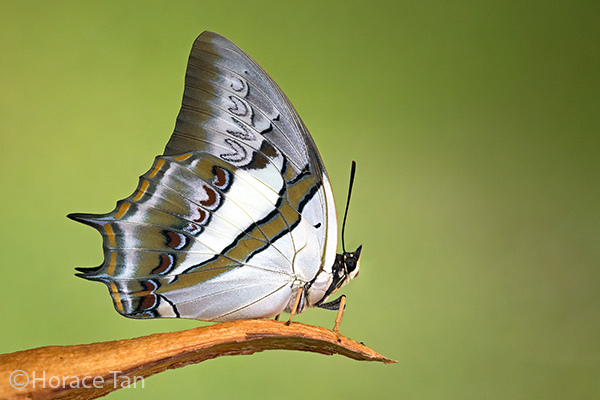 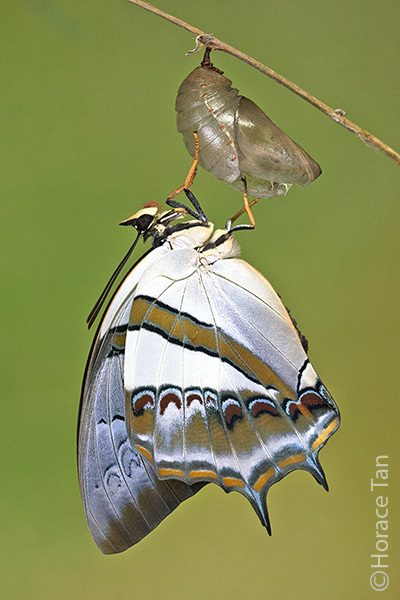 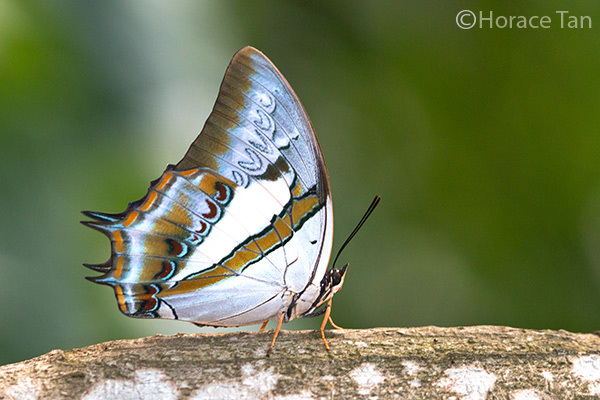 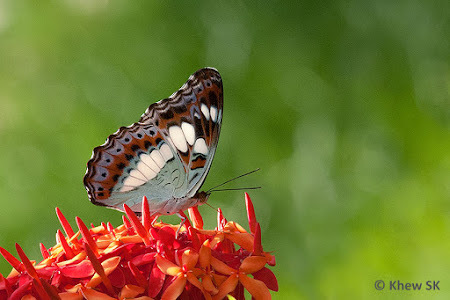 Favourite butterfly-photography (and birds too!) 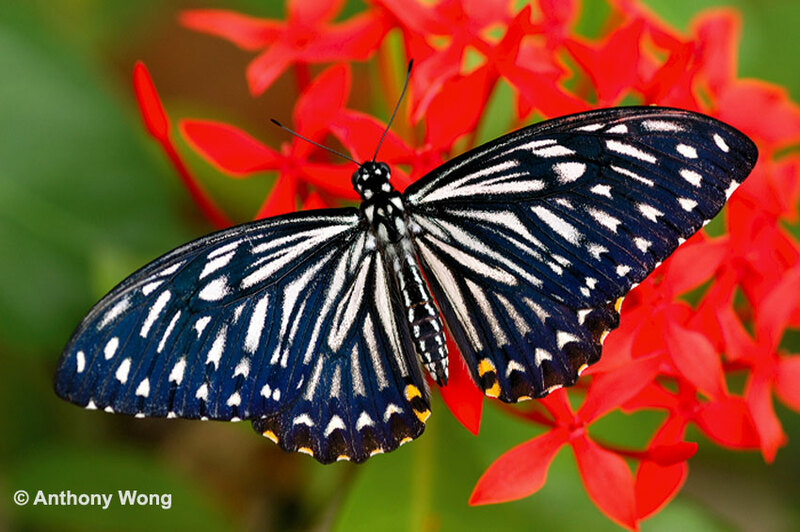 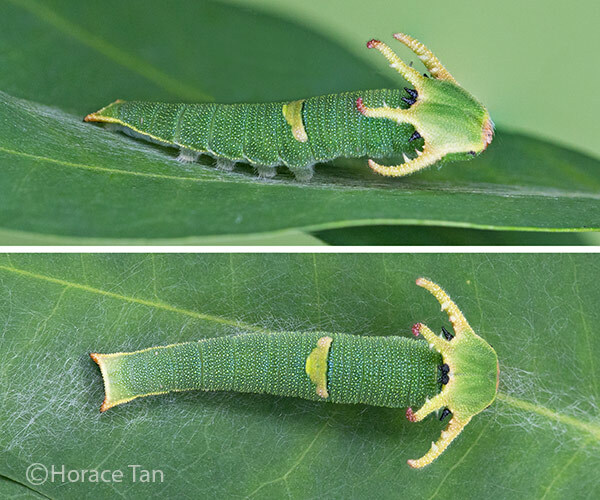 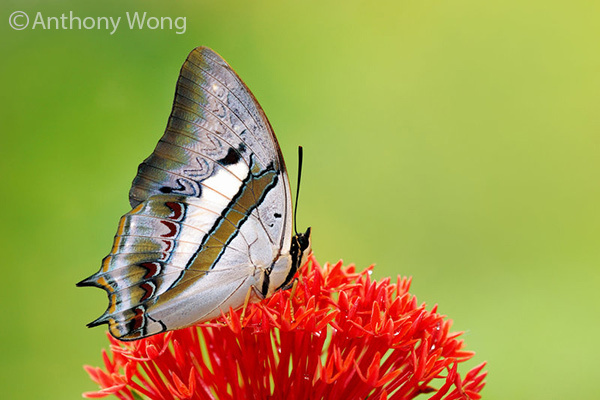 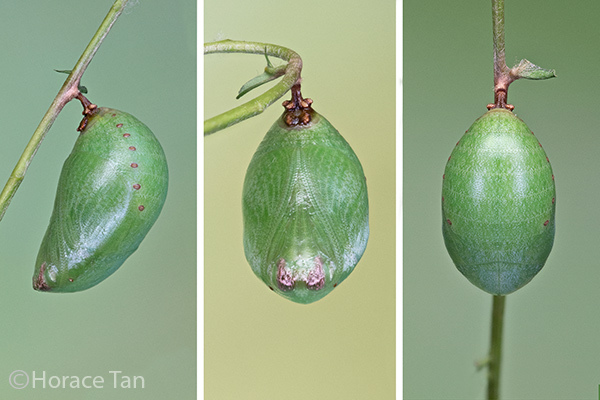 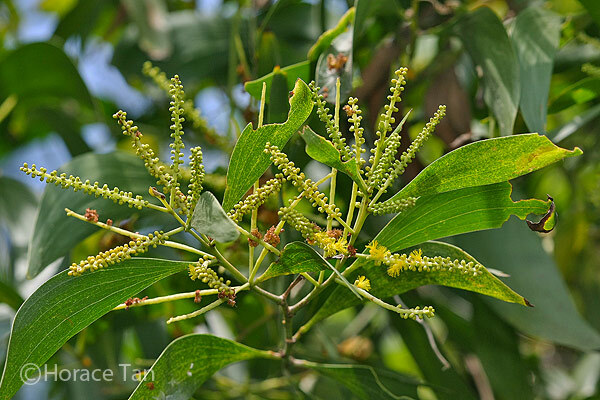 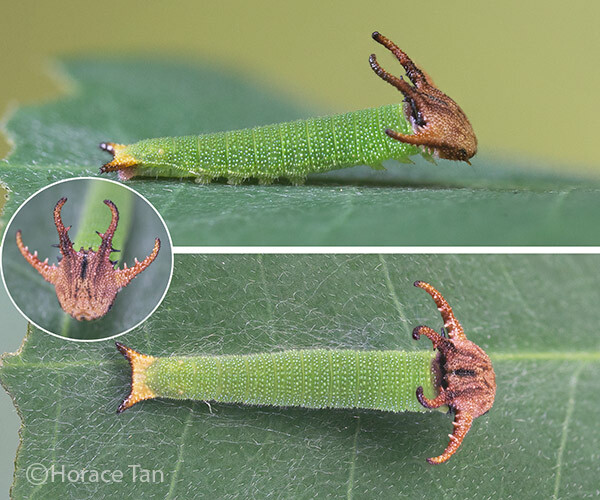 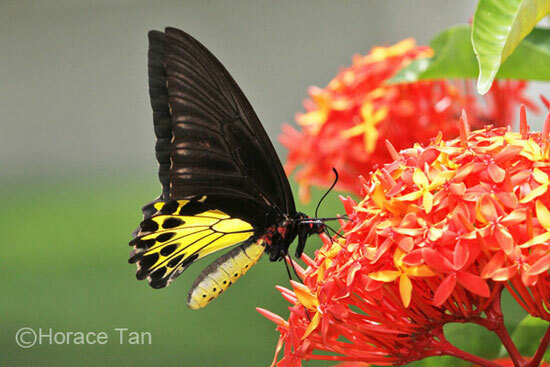 locations that feature this plant are Pulau Ubin's Butterfly Hill, Jurong Eco Gardens, Gardens By the Bay, Upper Seletar Reservoir Park and Upper Peirce Reservoir Park, to name a few. 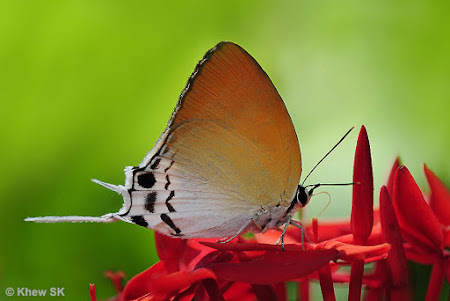 Given the structure of the flower and the relative concentration of nectar, the flowers of the Javanese Ixora are attractive to both large and small butterflies. 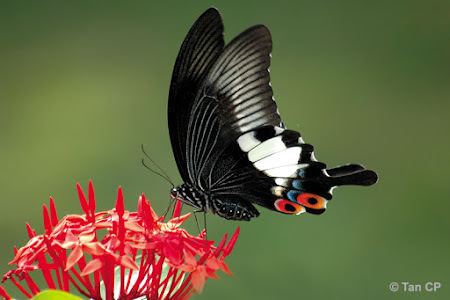 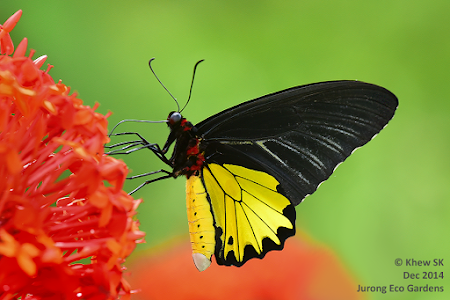 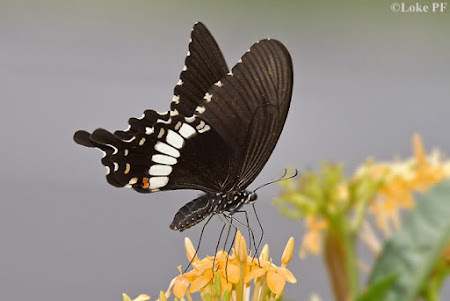 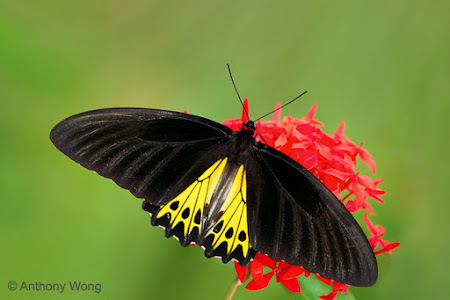 Amongst the larger Papilionidae that feed on the flowers are the Common Birdwing, Great Mormon, Common Mormon, Banded Swallowtail and Common Mime. 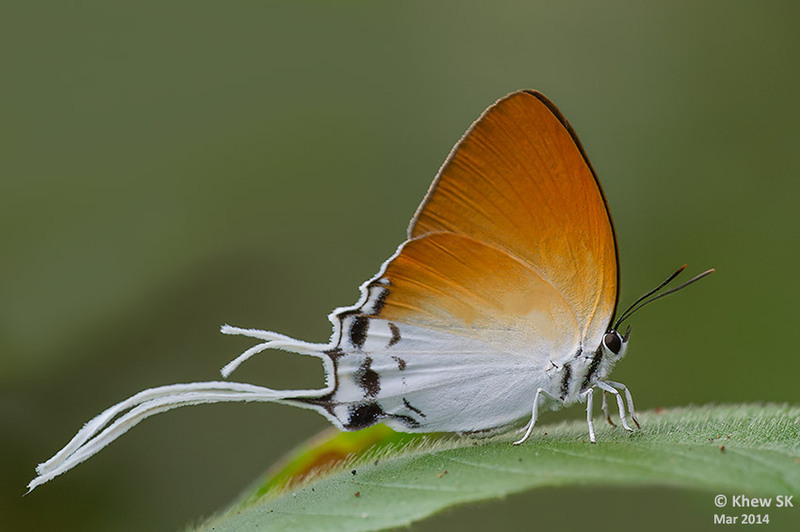 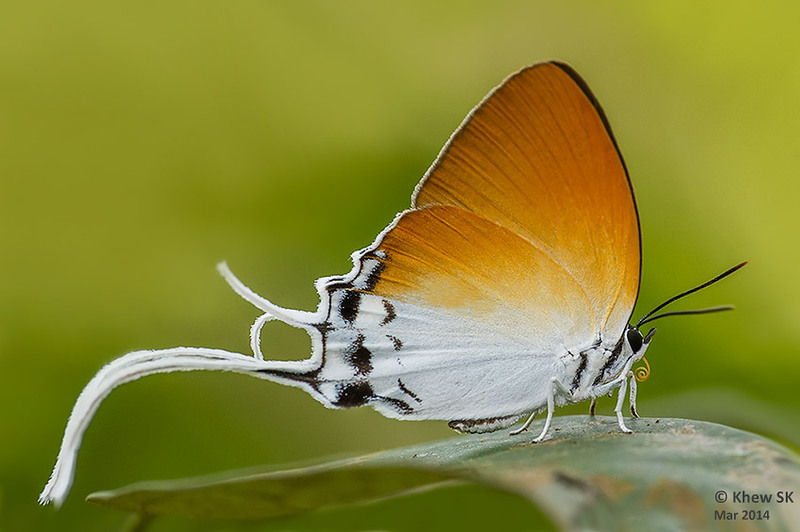 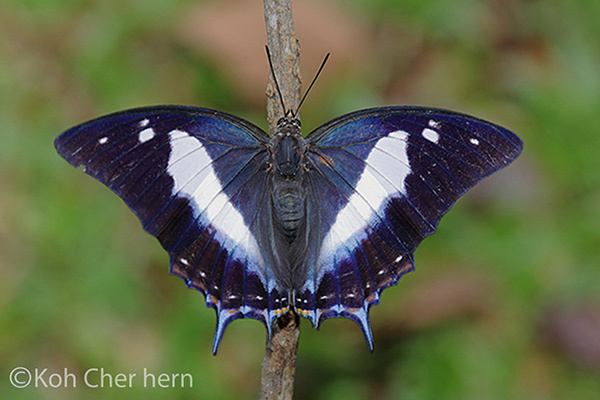 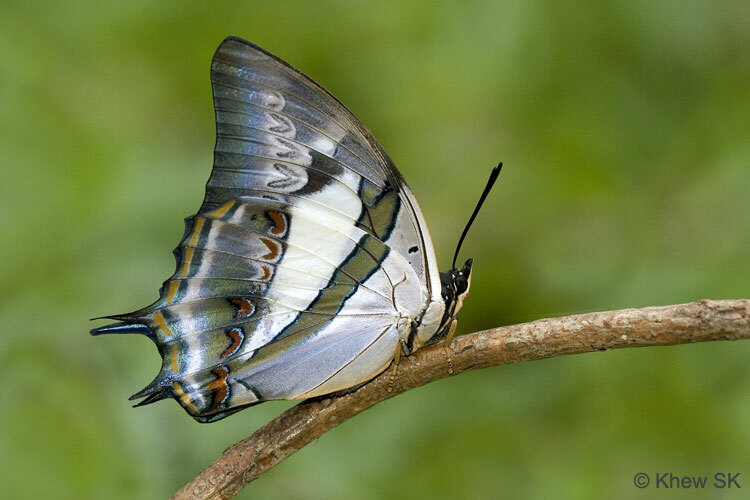 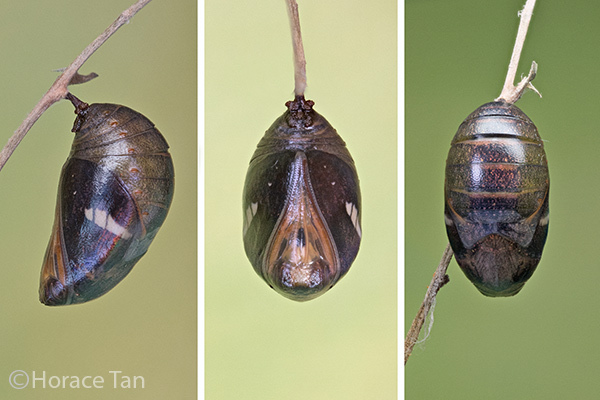 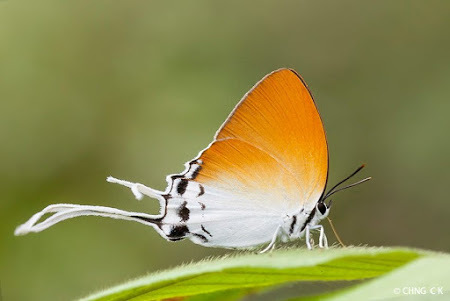 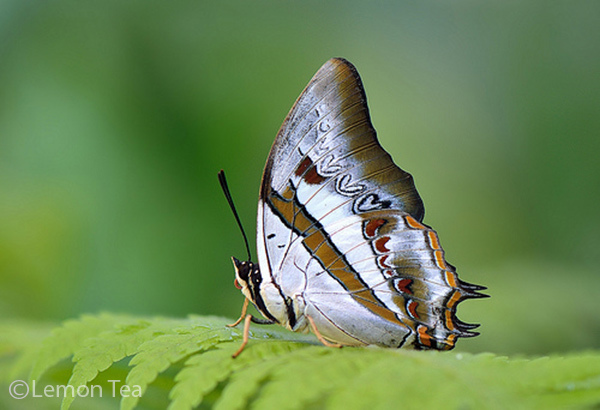 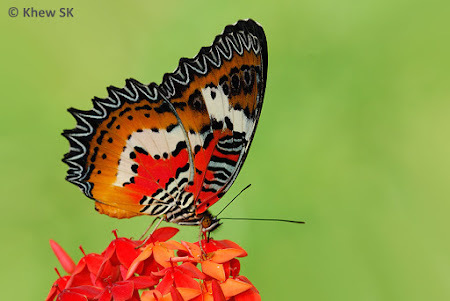 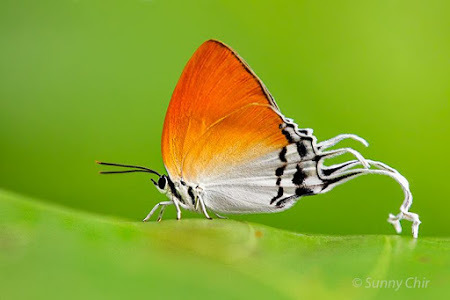 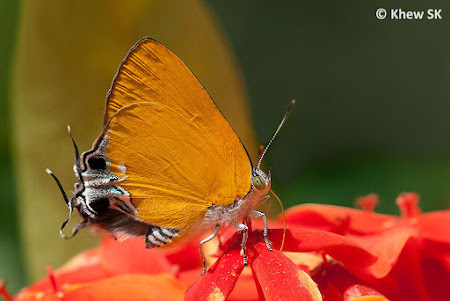 As is typical with the Papilinidae, the butterflies are usually in flight, with their forewings flapping rapidly, whilst their hindwings are kept still and then probing their proboscis into the flower in search of nectar. 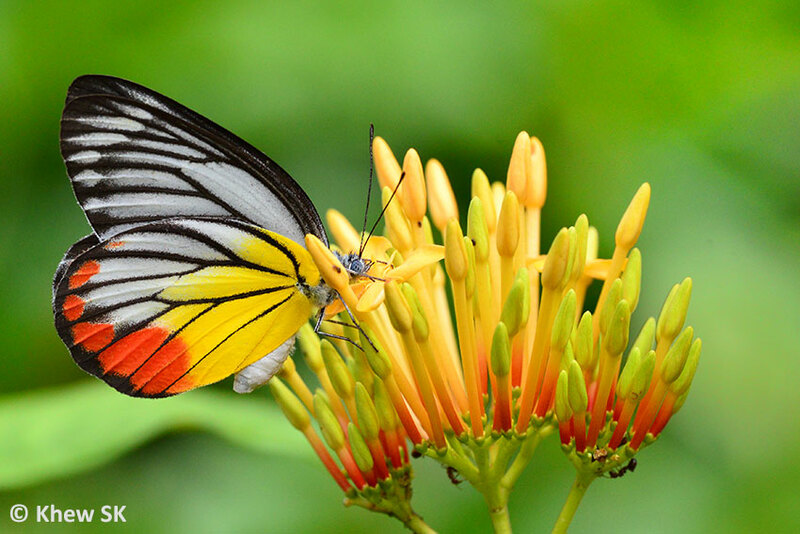 Amongst the other families, we have come across Pieridae, various other subfamilies of the Nymphalidae, all medium or fairly large butterflies, feeding on the flowers of the Ixora javanica. 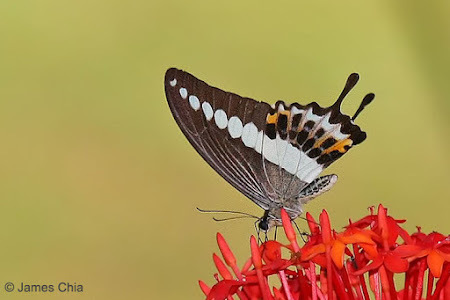 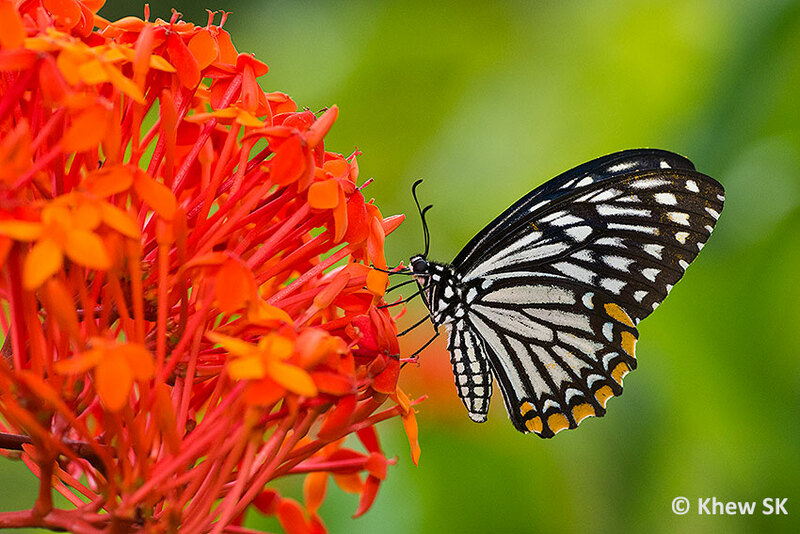 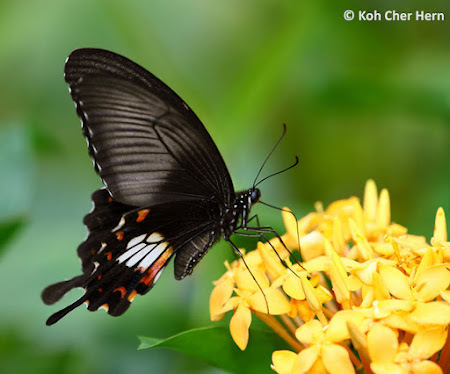 The typical behaviour of these butterflies when feeding on Ixora is that they move from flower to flower whilst perched on the flower, constantly probing with their proboscis as they feed on the nectar from each flower. 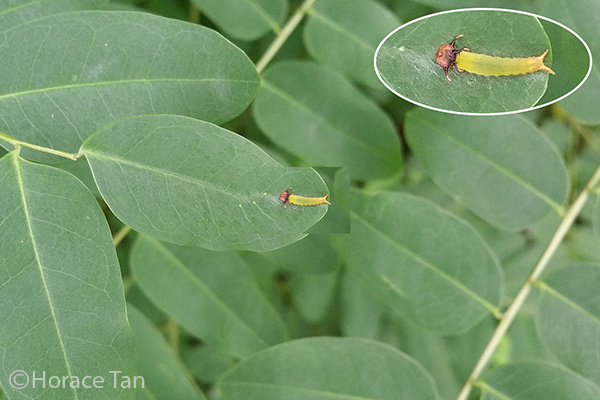 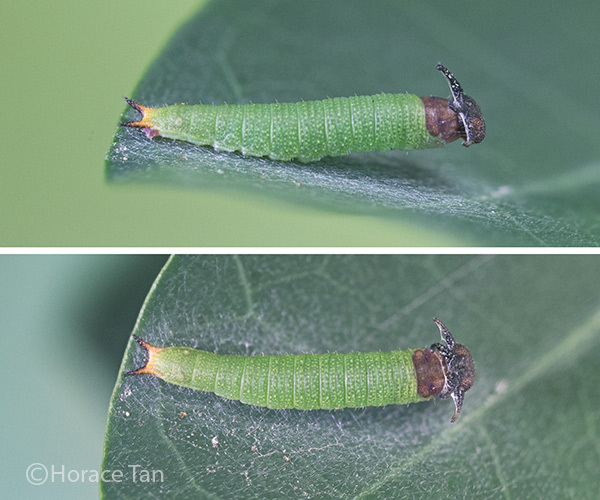 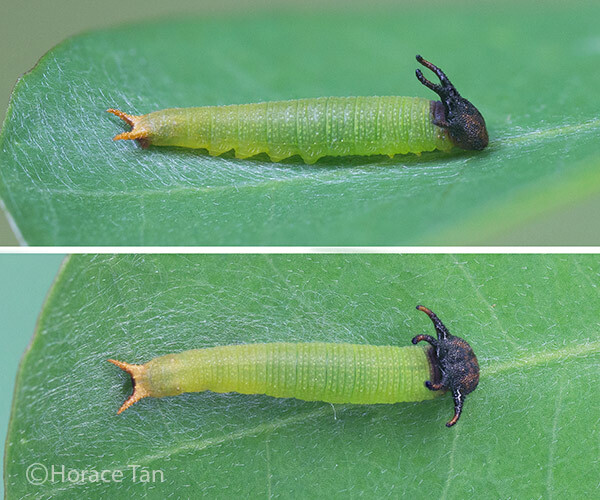 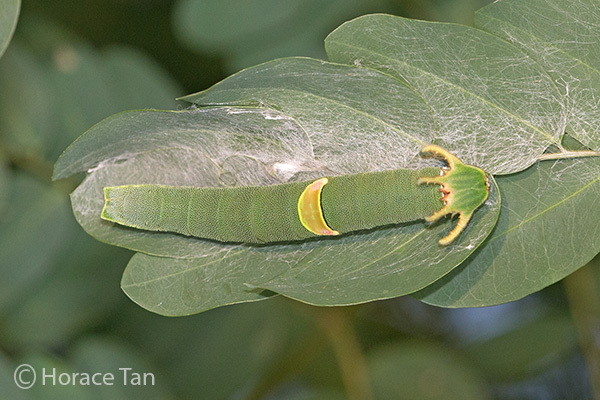 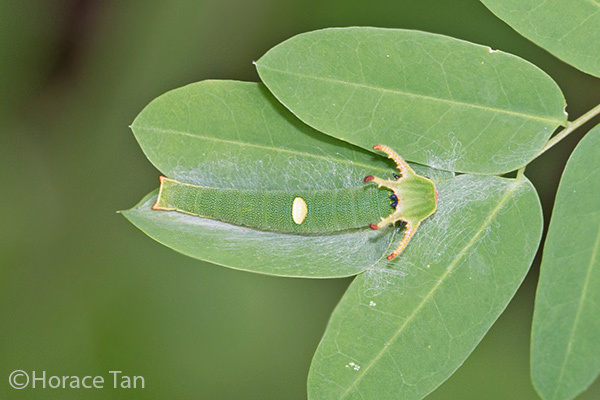 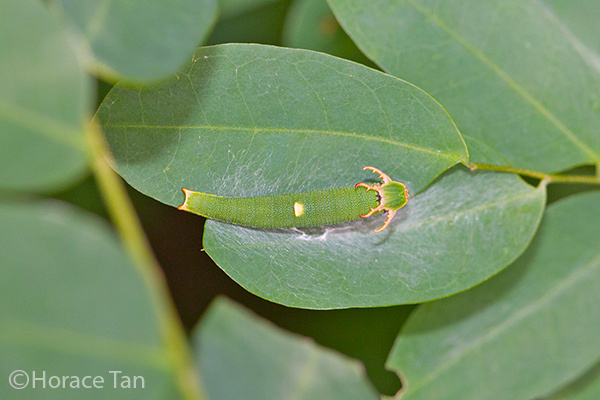 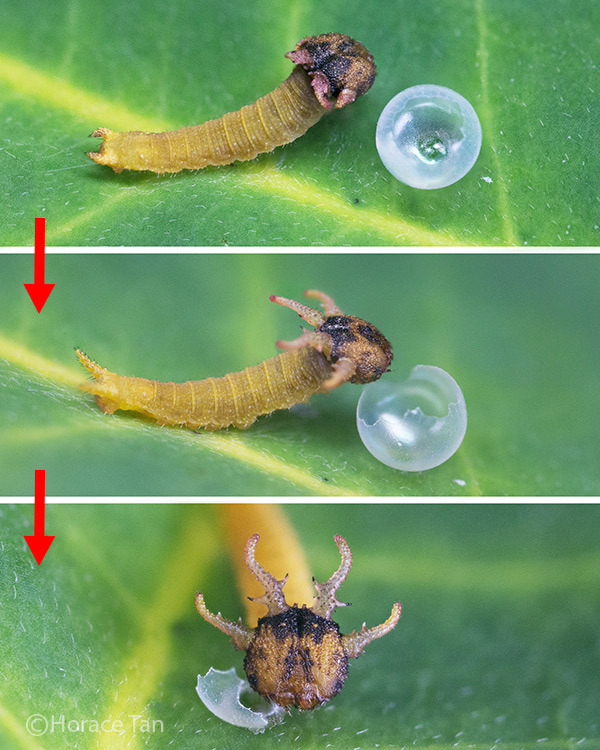 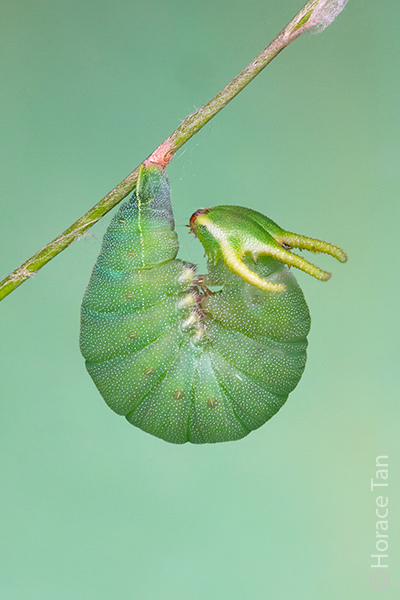 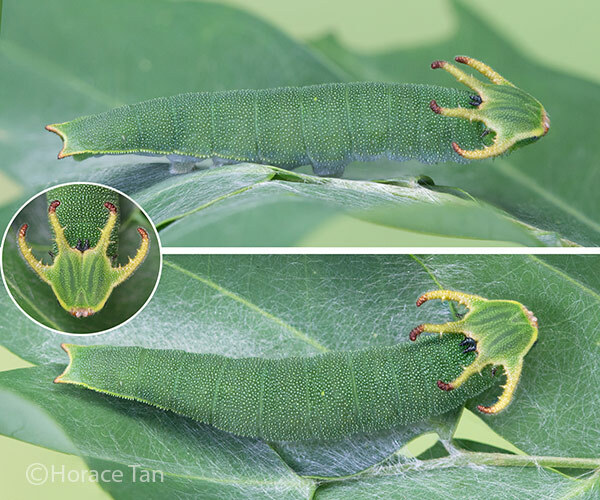 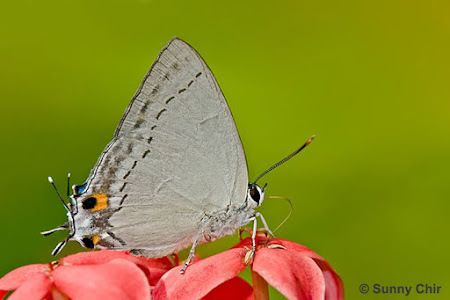 Interestingly, the Danainae are not often photographed feeding on Ixora. Perhaps the Crows and Tigers prefer other flowering plants to the Ixoras? 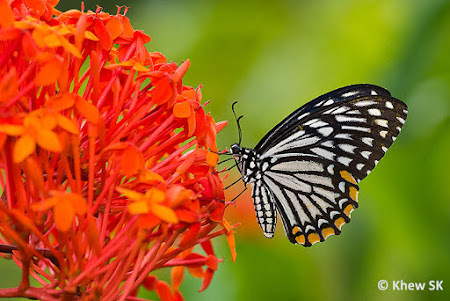 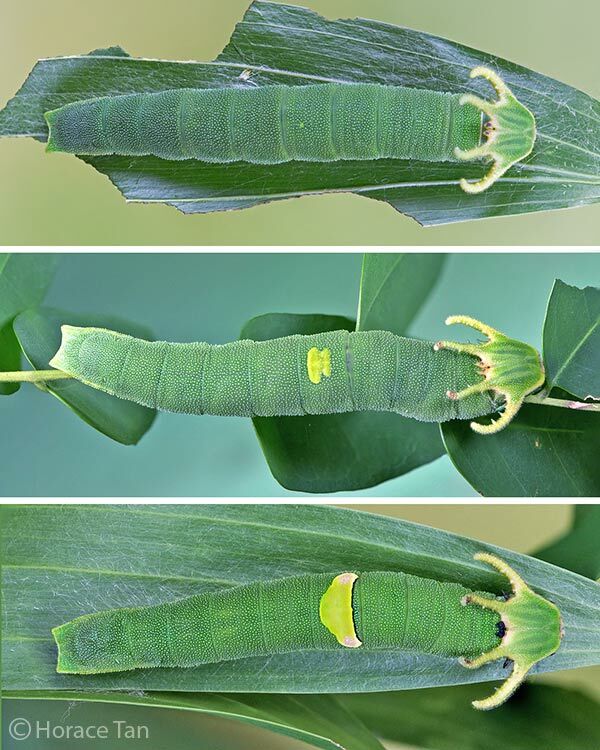 It would be an interesting subject to research how plants attract butterflies to their flowers, and why certain families or sub-families of butterflies are not attracted to certain flowers. 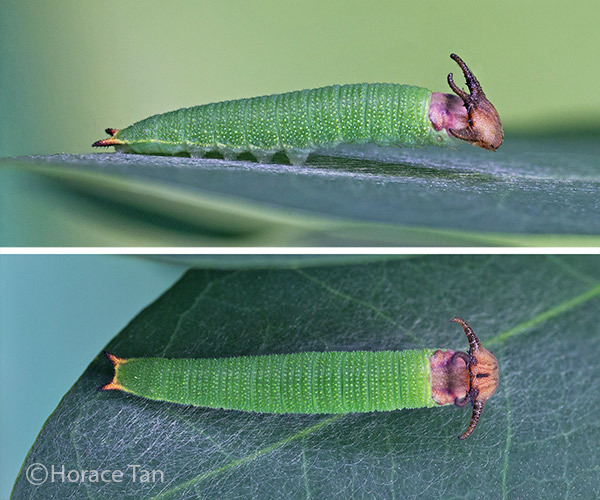 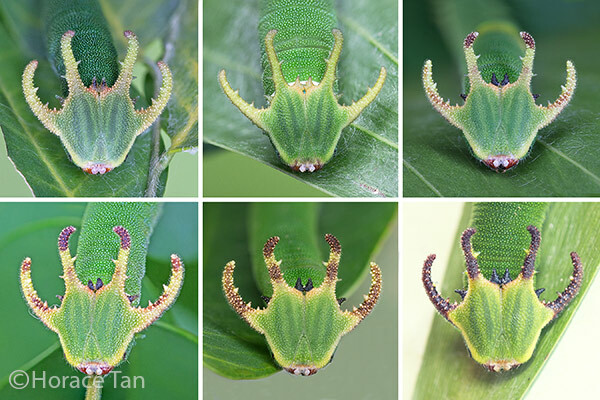 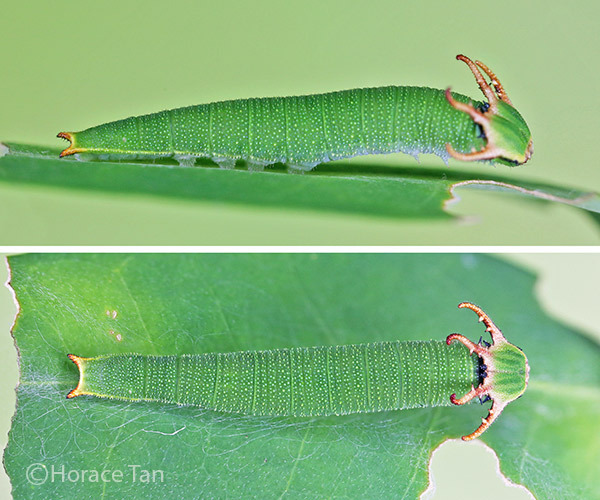 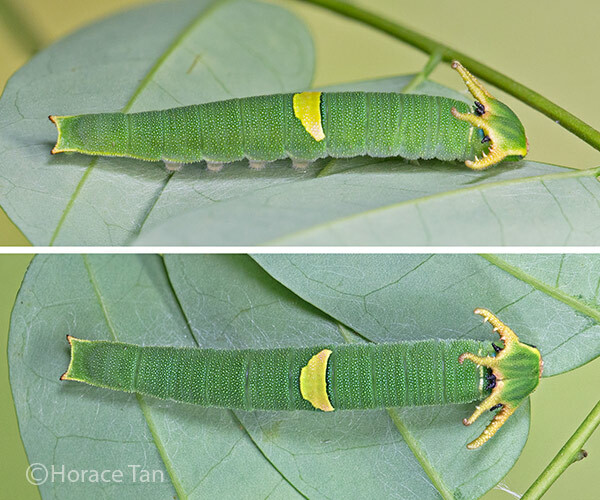 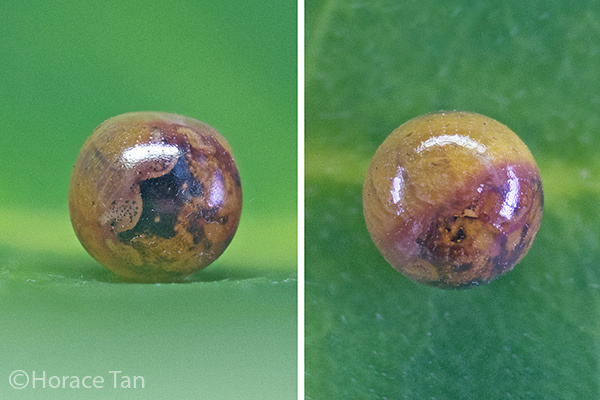 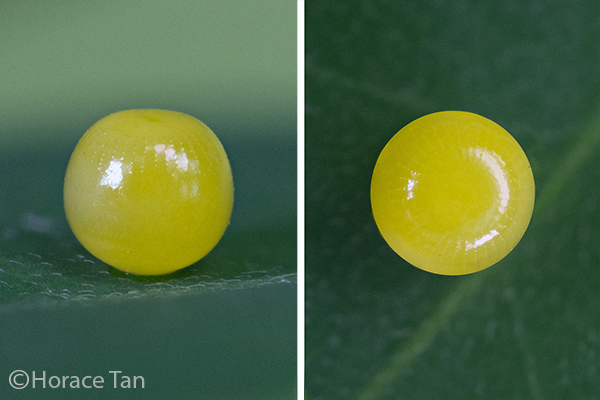 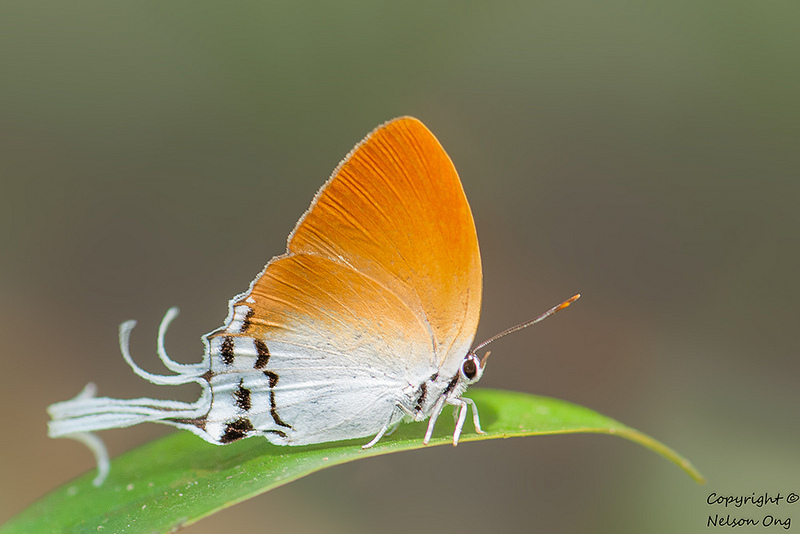 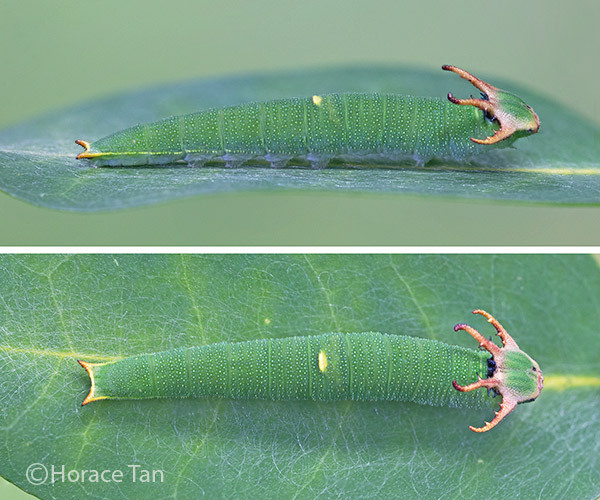 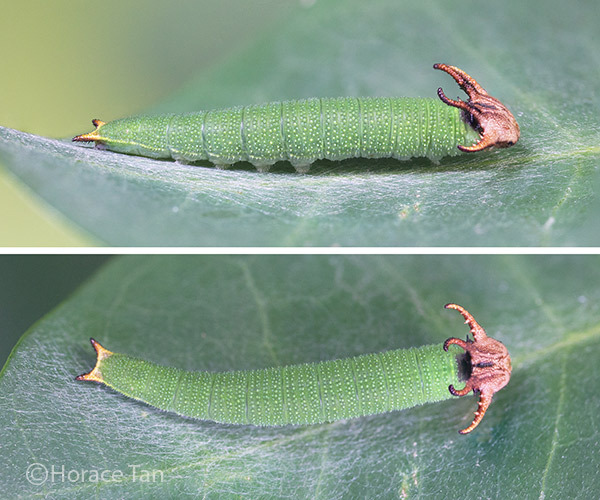 Many species of the Lycaenidae have also been recorded on Ixora javanica flowers - one of which is exceedingly rare in Singapore - the Golden Royal (Pseudotajuria donatana donatana). 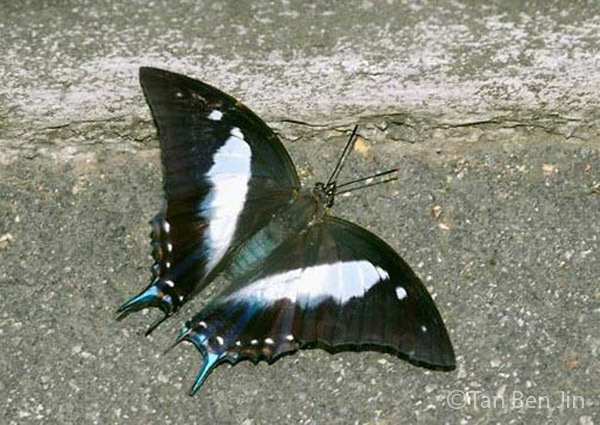 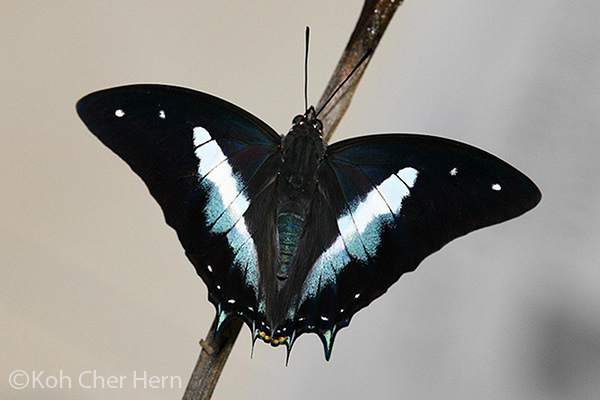 A female was recorded feeding on Ixora some time in 2005. 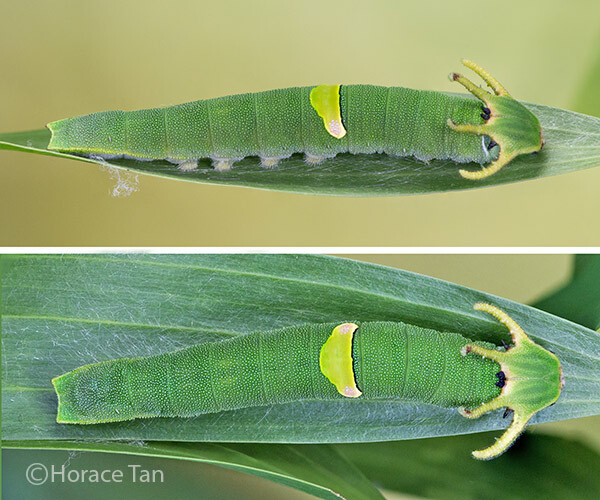 It was almost 10 years later in 2013, that another individual was photographed in the field. 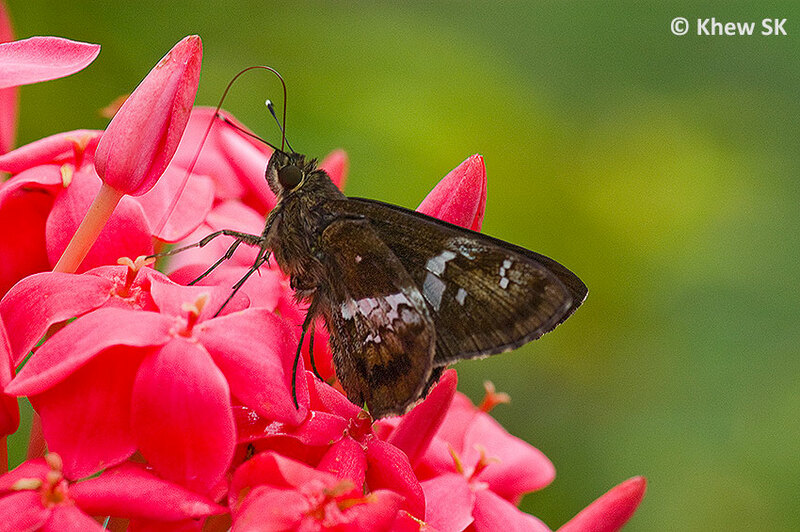 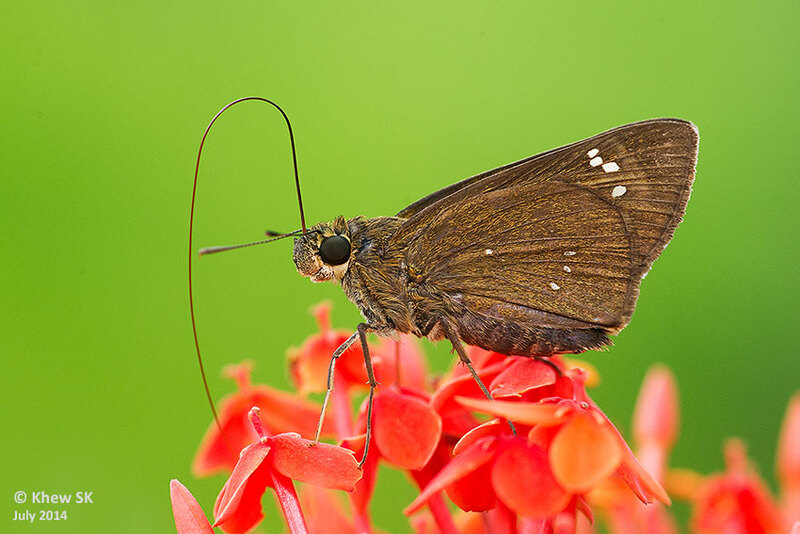 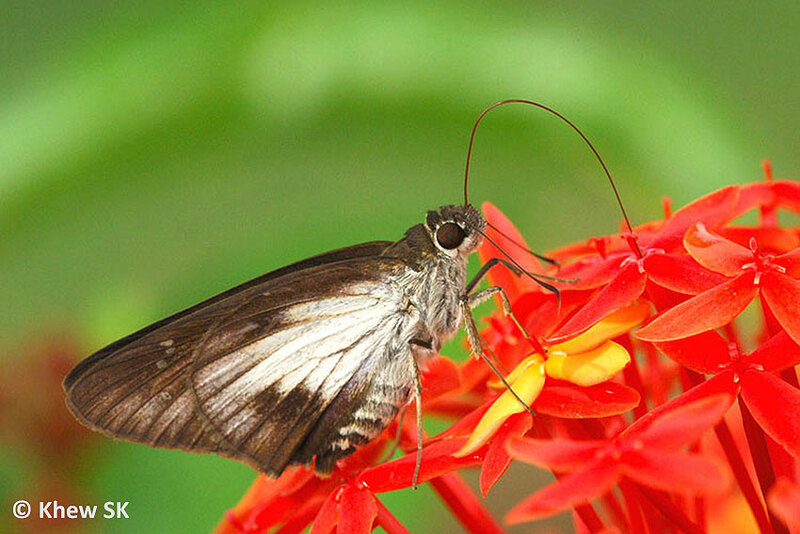 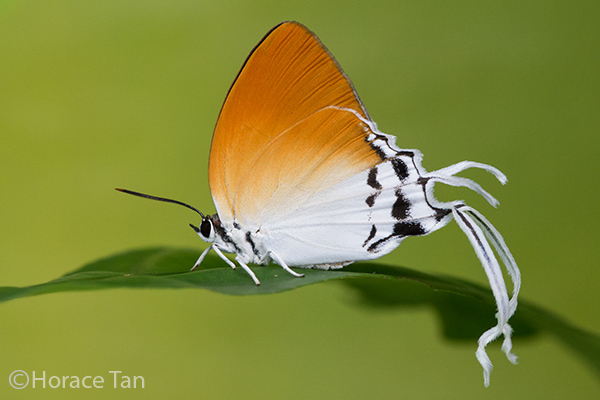 The Skippers also feed on the flowers of the Ixora javanica. 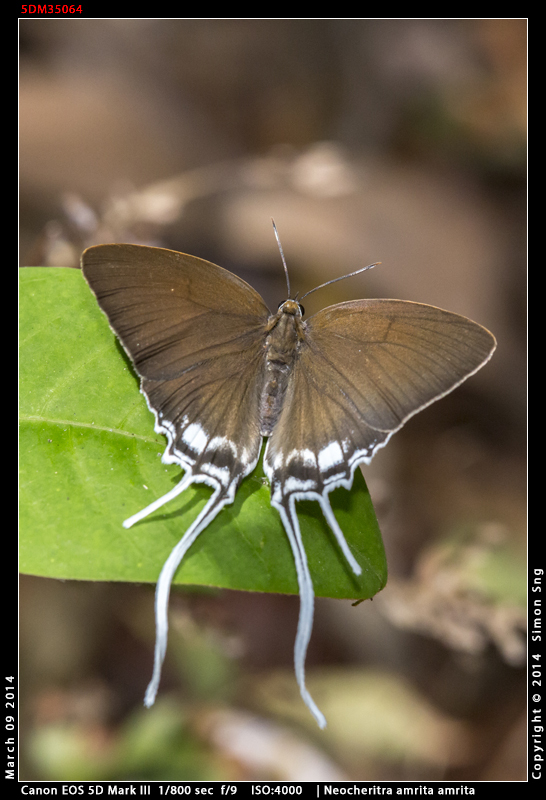 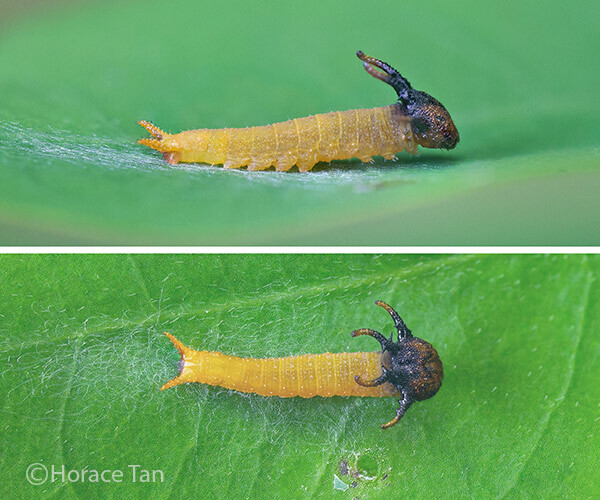 It is interesting to observe as the species like the Hoary Palmer and Conjoined Swift, using their extra long proboscis to probe deep into the Ixora flower, almost like anglers "fly-fishing" with their long lines! 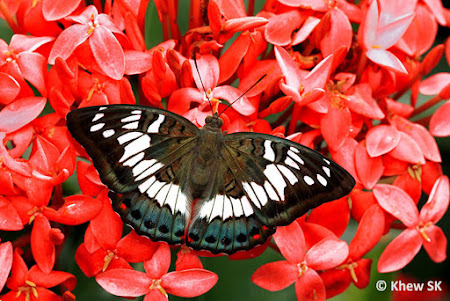 So there you have it, our sixth butterfly nectaring plant, the Javanese Ixora (Ixora javanica) and some examples of the butterflies that visit it to feed. 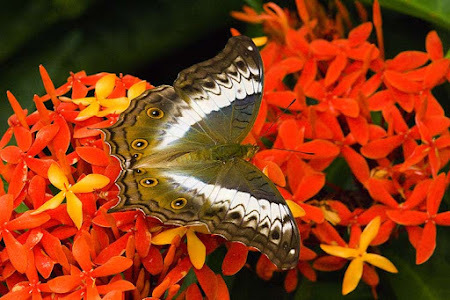 So when you are out in our parks and gardens, take a closer look whenever you encounter the Javanese Ixora bushes, and you may be delighted by the variety of butterflies that are attracted to the flowers.